Elite Whey Protein is packed with 25 grams of fast-absorbing 100% pure whey protein per serving. Exactly what your body needs to build muscle and recover after rigorous workouts. Elite Whey Protein has been reformulated to deliver an even more decadent taste experience. A critical component for fighting fat and building muscle. 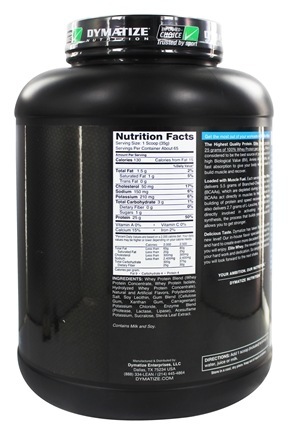 Supplement with high quality whey protein to get the results you long for. Now when you finish your workout, your protein isn't just a necessity, it's a reward as well. 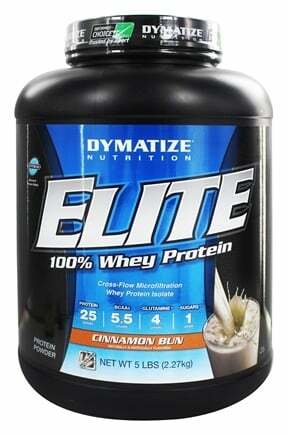 To Recieve updates and possible rewards for Dymatize Nutrition Dymatize Nutrition Elite Whey - 5 lb Cinnamon Bun please sign in. To Recieve updates and possible rewards for Diet Supplement please sign in.